Faithful Strokes is a great place for birthday parties, girls’ night out, bridal and baby showers, graduation parties, and more! We set up, entertain, and clean up, offering the ultimate party place for any host or hostess and their guests. Each guest will leave with their own original work of art – their treasured masterpiece! Children’s parties are $125 studio reservation/supply fee to book, then $10 per child the day of the party. 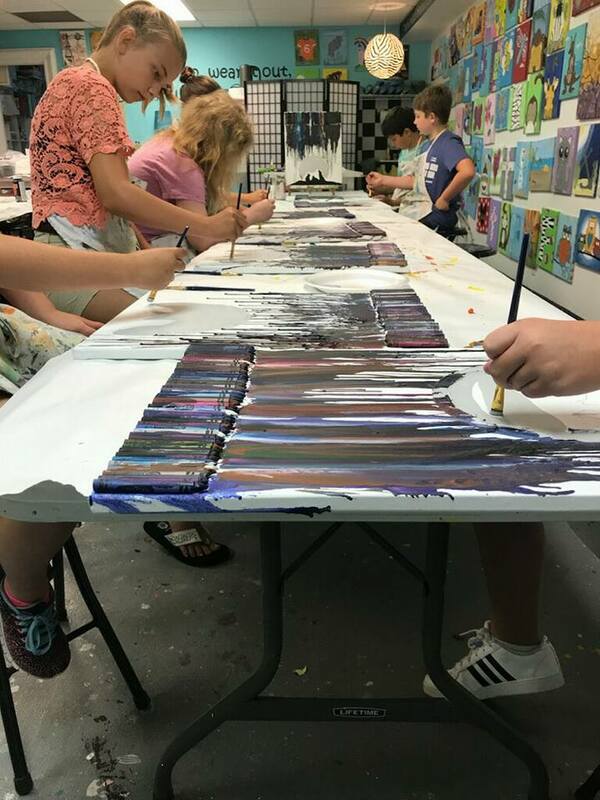 Adult parties are $125 studio fee that is applied toward the $30 per person price with a minimum of 8 painters. WOOD SIGN PARTIES ARE NOW BEING OFFERED FOR ADULTS!! CALL MELISSA 615-573-6793 or EMAIL faithfulstrokes@gmail.com to RESERVE YOUR DATE NOW!! We will create the design of your dreams! There is a $125 non-refundable deposit for supplies which can be paid below once a date is set with us. There is a minimum of 6 people and it’s $50 per person the day of the party. 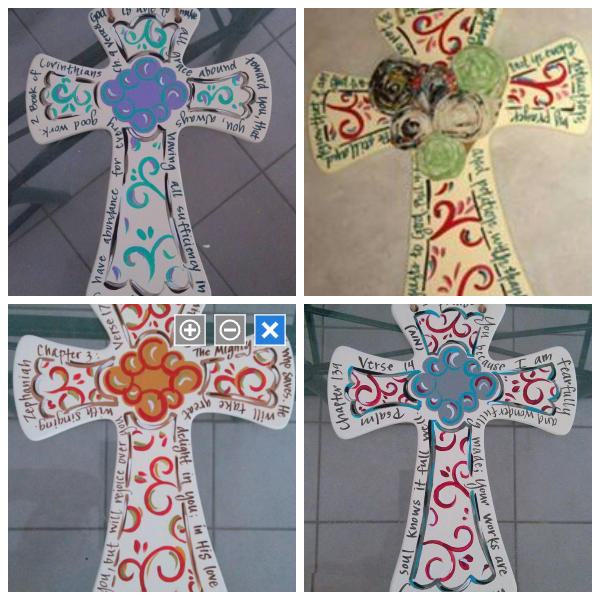 At the time of setting your date, we will get design ideas from you and we will create the stencils, transfers, etc for your party. The price above will create a sign similar to the one pictured below (roughly 24×36 inches, 20×20 inches, 18×36 inches, or similar). Larger signs can be made, but price will vary and be confirmed prior to setting your date/paying your deposit and will be included in your contract. 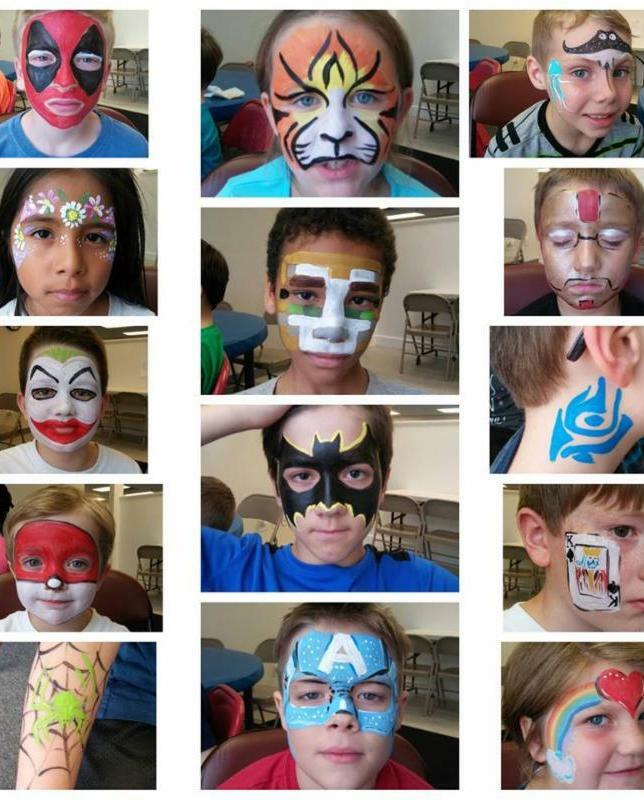 NEW, ONE-OF-A-KIND PARTIES ARE NOW BEING OFFERED FOR CHILDREN (call for pricing for adults)!! CALL MELISSA 615-573-6793 or EMAIL faithfulstrokes@gmail.com to RESERVE YOUR DATE NOW!! BIG ANNOUNCEMENT! Detailed info on ALL these in the sections below! 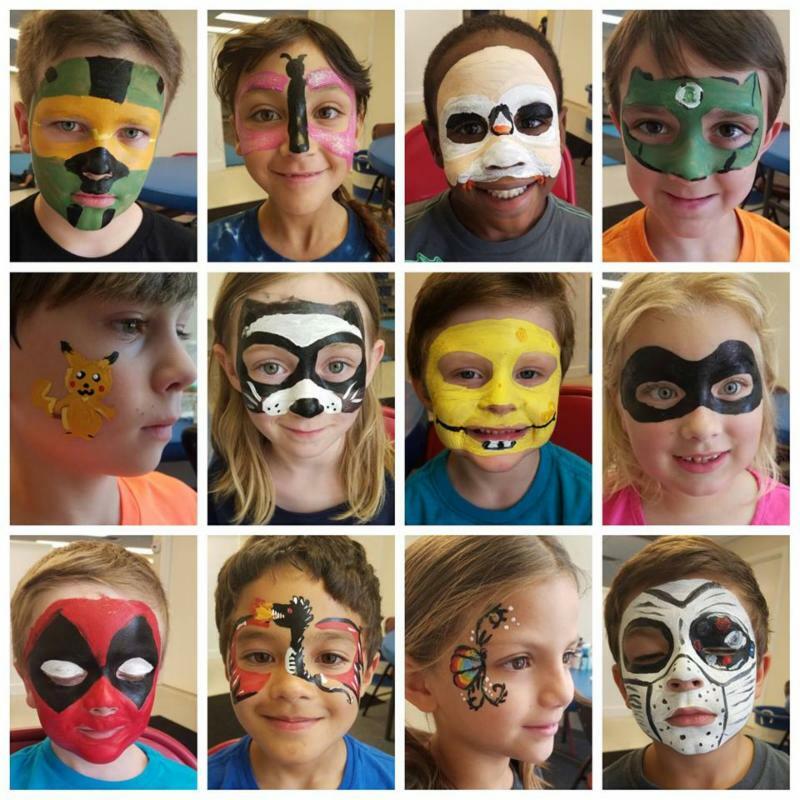 Offering MUCH MORE than painting for the ULTIMATE, ONE-OF-A-KIND, and EASY PARTY EXPERIENCE that your child and their friends will talk about for years to come!! 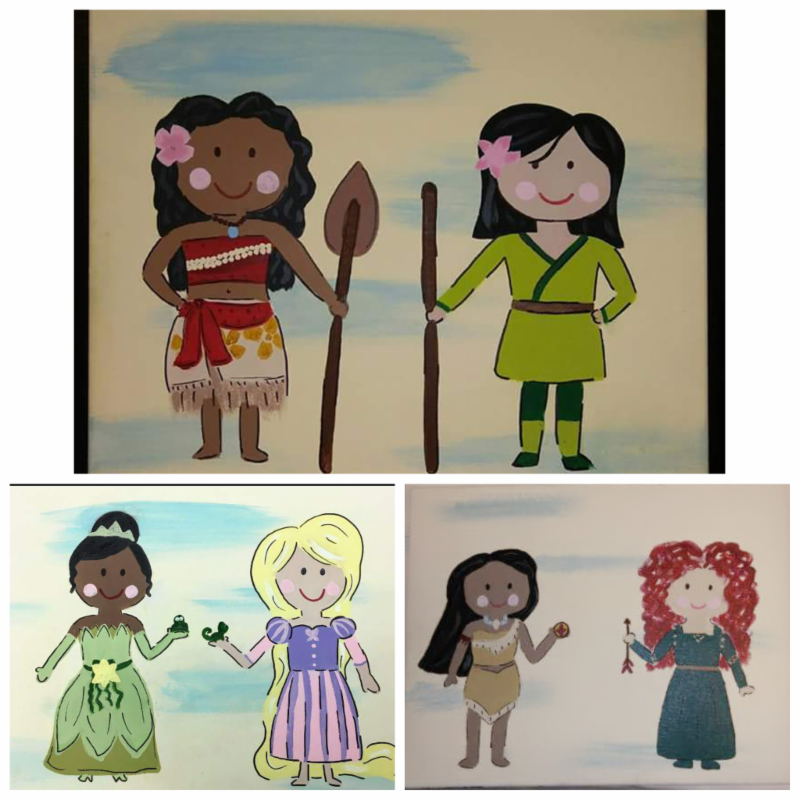 1.TRADITIONAL CHILD BIRTHDAY PARTY: 1.5 hr painting and 30 min party time, 11×14’s/one painting choice, all painting supplies provided $125 studio/supply fee plus $10 per child painter. Minimum of 6. 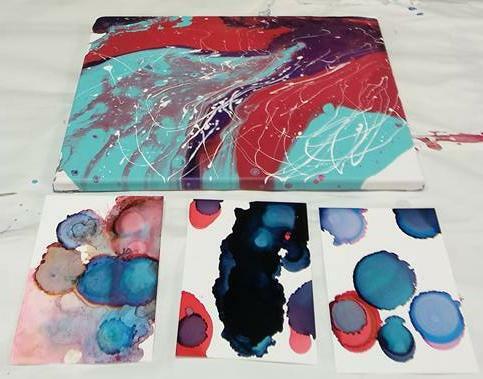 2.BUILD YOUR OWN PARTY: 2 hrs of your choice of painting, pour and/or swipe painting, alcohol inks, resistance, lettering, etc and 30 min party time, 11×14 or equivalent/2 choices, all creating supplies provided $125 studio/supply fee plus $18 per child. Minimum of 8. 3. PIN PARTY: Take the BUILD YOUR OWN PARTY TO THE NEXT LEVEL! 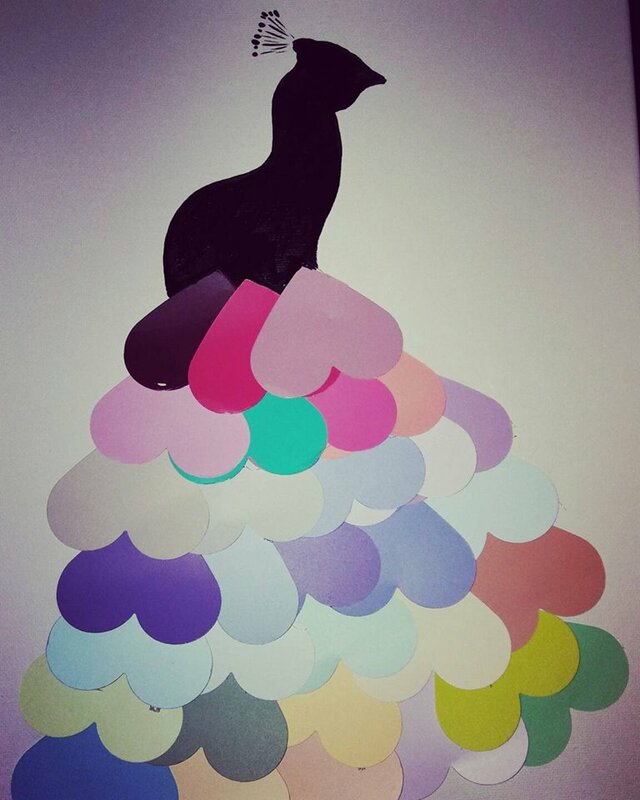 We customize a 2.5 hour party to include some of YOUR favorite Pinterest ideas such as button, string or paint chip art, crafts, collage, mixed media, crayon melting, OR YOU SHOW US YOUR FAVES! 2.5 hrs creating and 30 min party time, 11×14 or equivalent/3 choices, all creating supplies provided $125 studio/supply fee plus $20 per child. Minimum of 8. 5.Wood Workshop Party: We create a party to make a custom wood piece! 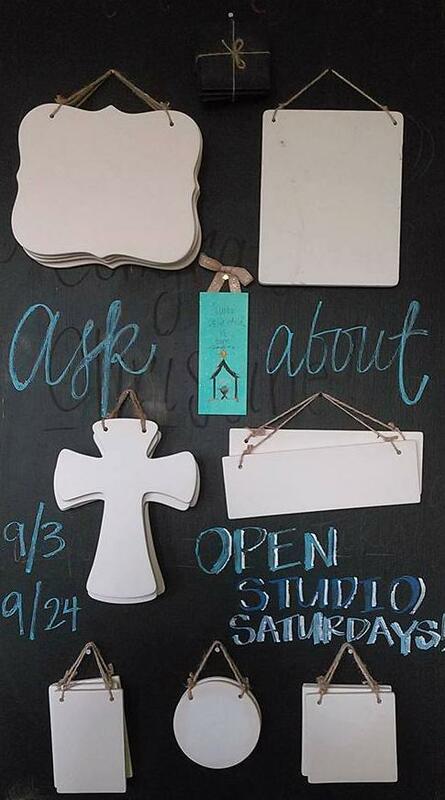 Your host chooses a sign, door hanger, sconce, or other wood option. 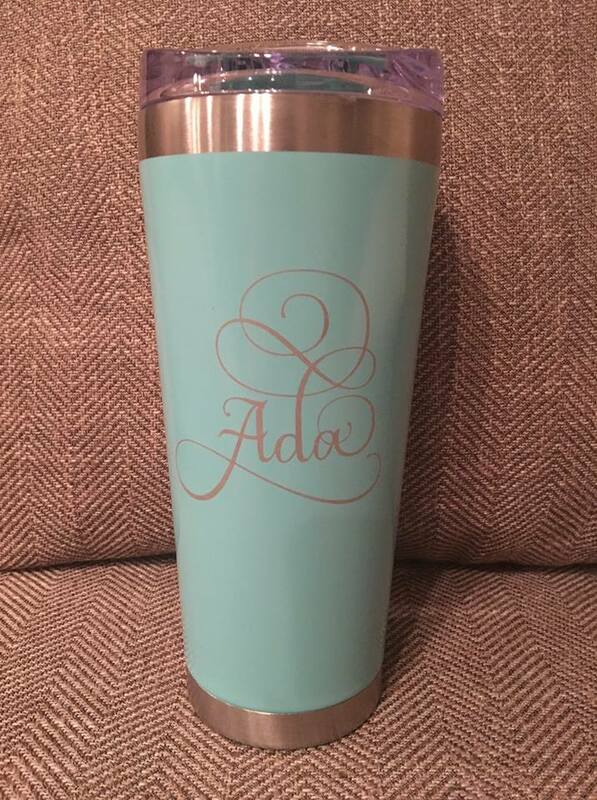 Then those pieces can be customized for each guest with colors, stencils, and much more. 2.5 hrs creating and 30 min party time, 12×24, 20×20, or similar sizes, all creating supplies provided $125 studio/supply fee plus $25 per child. Minimum of 8. 6.Pottery! 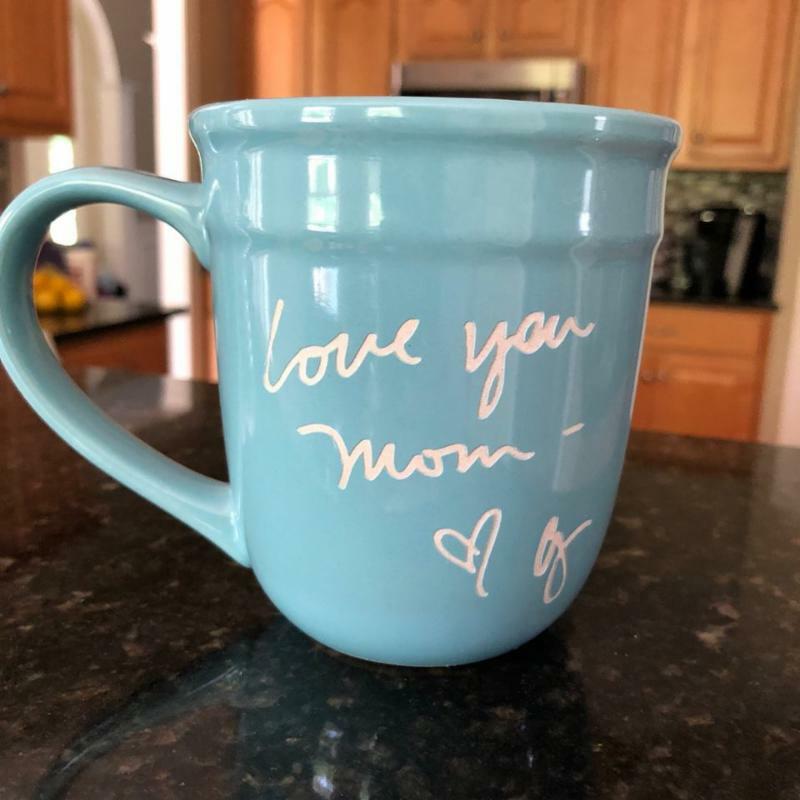 Right now we are working on getting a kiln for low-fire pieces that will be food/dishwasher safe, but for now we are offering ORNAMENTAL BISQUEWARE PAINTING (pre-fired, unpainted ceramic pieces for decor only)! We will have a selection of piggy banks, decorative pieces, etc that are gender neutral. Those pieces can be painted with acrylic and sealed. They can customized by each guest with colors. 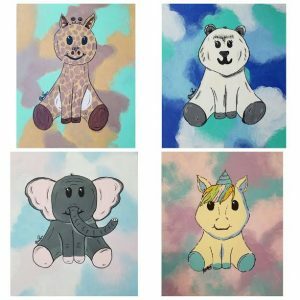 1.5 hr creating and 30 min party time, hand sized or similar sizes, all creating supplies provided $125 studio/supply fee plus $15 per child. Minimum of 8. 7.STEAM Party! 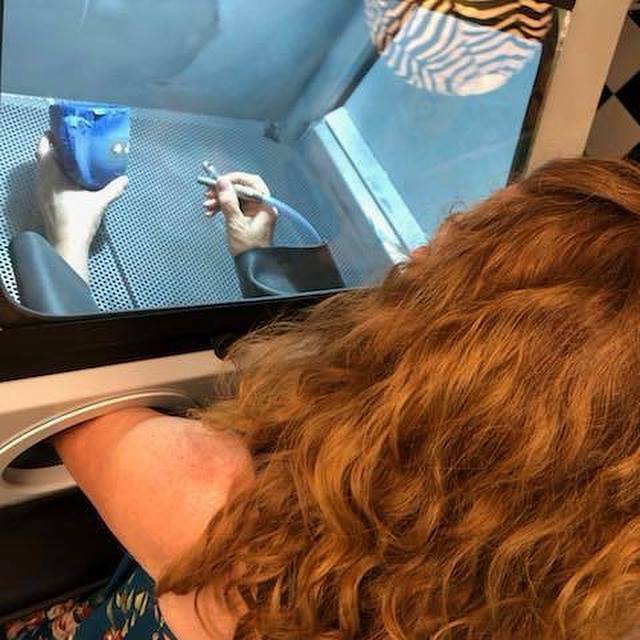 Connecting art to other subjects by creating slime and kinetic materials through various recipes, rock art, sensory bottles/bags and MORE! Our studio becomes a lab to watch as science and other subjects collide with art. Chemical reactions that you don’t want in your kitchen can be created here and we do everything from safety precautions to clean up! 2 hrs of your choice of 2-3 projects and 30 min party time, all creating/safety supplies provided $125 studio/supply fee plus $20 per child. Minimum of 8. 8.ADD ONS LIKE FACE PAINTINGS: Pricing will depend on how many faces to be painted, simple/cheek vs more intricate/forehead/whole face painting, how much time it adds to the total party. Typically its $2-$5 per child, but it could be less or more expensive depending on the need. Use of Studio for eating, opening gifts, etc. We will provide a homemade buttercream layer cake (chocolate/vanilla; gluten free option available) hand-decorated by us with edible paint gel to match your painting choice. Cake size will be determined by us based on number of painters. 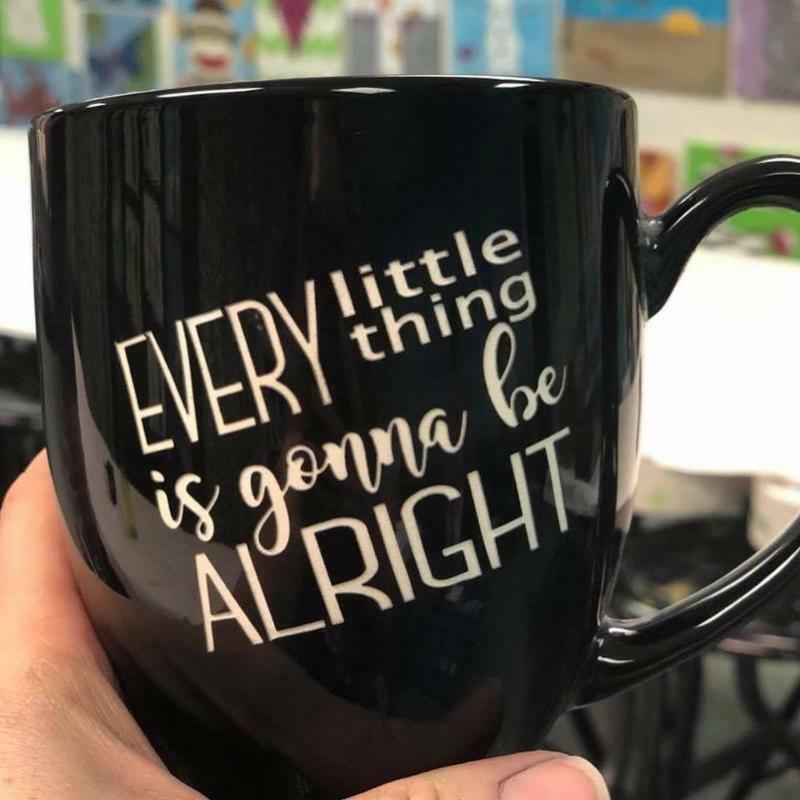 Larger pieces can be made, but a different, but affordable price will be decided on prior to setting your date/paying your deposit and will be included in your contract. 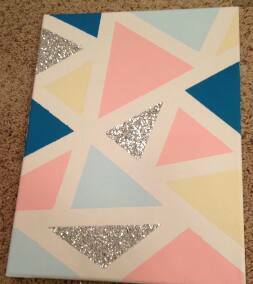 Click here to download our Painting Party Sheet. Click here to download our Party Contract. 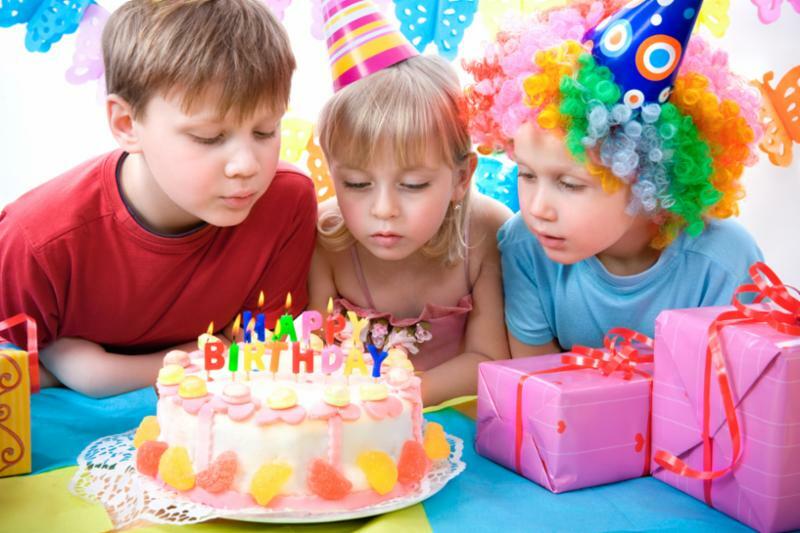 Click here to download our Children’s Party Sheet. 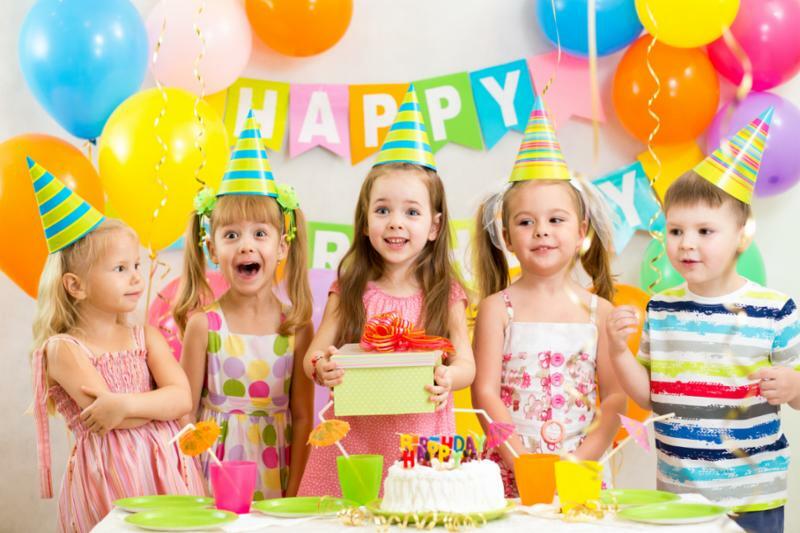 Click below to pay your deposit for a CHILDREN’S PARTY ONLY after you have confirmed with us on a date.